In a previous article I explained and defined the four walls of our manufactured thought prison—a prison designed to keep us locked into a perpetual state of ignorance via pre-defined misunderstandings of reality that are DICTATED TO US by those whose power is protected by those misunderstandings. Further, this form of ignorance is critical in building an inequitable two-party class system wherein one class ends up ruling over the other. This imposed model of dichotomy facilitates, and therefore continually re-creates the master-and-slave construct, whether we refer to it as serfdom, class warfare, breakaway civilization, or the manufactured gap between the 1% and the 99%. In either or every case, proper knowledge and the ability to control, constrict, restrict and censor the flow and use of that knowledge, is where the real power over others lies. In more distilled terms, secrecy from them = bad for us—even where cosmology is concerned. To re-emphasize this point, I’m going to quickly reiterate it philosophically via pattern recognition before I reference sources of cosmological knowledge that our global handlers never bothered to share with the rest of us. The fact that knowledge is power, and therefore hoarding/hiding it leads to power over others, is the same reason slaves were not taught to read and write in the past, and why current government-driven educational mandates like No Child Left Behind are teaching (y)our children not to think for themselves, but rather to memorize and repeat (misguided) answers that have been pre-defined and dictated TO them. The same fate has befallen what we once knew as journalism, which is why news anchors are now commonly referred to as “talking heads” or parrots. While this very same gap of knowledge and experience naturally exits between a child and an adult (as opposed to the unnatural and manufactured gap between the adult haves and the adult have-nots), it is also the basis for the ease in which a child can be emotionally manipulated into believing a boogey man lives under the bed. Lack of proper knowledge and emotional manipulation always go hand-in-hand, regardless of the time, genre, or field it is associated with. In the aforementioned article regarding the four walls of our pre-defined reality box, one of those walls was labeled Science and Technology, and examples provided in that article necessarily included cosmology; specifically, how this wall purposefully promotes and reinforces inaccurate understandings of science, physics and cosmology. Additionally, the theme of that article was not solely limited to the boundaries and existence of our mandated thought perimeter/prison, but also how far those who constructed it, will actually go to protect it—both historically (genocide, witch hunts and inquisitions) and presently (internet censorship, NDAA, indefinite detention, and the relentless persecution of whistle-blowers). PERPETUATING IGNORANCE OF INTELLIGENT CREATIONAL DESIGN IN COSMOLOGY—WHY WOULD THEY DO THAT? 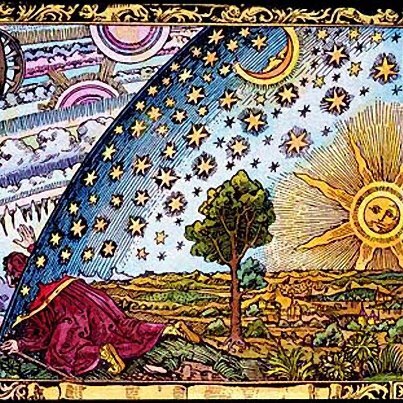 Cosmology: the scientific study of the form, content, organization, structure and evolution of the universe. Creation: 1) creating or being created. 2) The universe and everything in it; all the world. 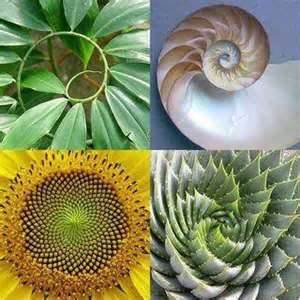 3) something originally created by imagination, invention, design, etc. “Earlier in the book we briefly discussed programming life and why this is an important thing to understand in order to preserve it, as demonstrated by the axe story…nature, the environment necessary to sustain life, and life itself are programmable. A set of coded instructions that enable a machine to perform a desired sequence of operations. Those systems are being weaponized, abused, and altered to your detriment as the means to maintain the master-and-slave dichotomy while simultaneously keeping you unaware of it. Ignorance of those systems keeps you from knowing when and how those abuses are happening. Ignorance prevents fact-based projections of inevitable outcomes of continued abuse/alteration. Ignorance creates the pre-conditions necessary for effective fear mongering (rumor & speculation not based on facts—the boogey man under the bed), social engineering, perception management and associated emotional manipulation. Ignorance being a necessary counterpart to emotional manipulation goes well beyond ignorance of biological systems, or even who the “real” terrorists are—it applies to everything—even cosmology. In each case however, the same pattern should be observed: the shadow of fear and doubt is either eliminated with proper knowledge, or cruelly exacerbated and exploited among the uneducated. In the biological sector of this pattern, fewer and fewer unwitting parents are eagerly lining up to inject their babies with toxic chemicals and live viruses because proper knowledge has overcome the relentless fear mongering/marketing of pharmaceutical companies trapped in the greed-to-death cycle. The same thing has been done with GMO’s—proper knowledge of GMO side-effects has finally overcome the baseless (fear mongering) claim that GMO’S are the only way to feed millions of starving people. [NOTE: The definition of fear mongering: a baseless fear designed to $ell you something—snake oil salesman]. In other words, this form of emotional manipulation is equally (and almost always) tied to financial gain. When gossip mongering morphs into fear mongering in money markets, stock prices are simultaneously manipulated by speculation—very public and repetitious speculation. Further, character assassinations are based on the same premise: dubious rumors and speculation are often enough to destroy an individual’s reputation, long before they ever get the chance to defend themselves and prove those accusations wrong. This is often referred to as “being tried in the court of public opinion” but in truth it is based on being tried in a court of emotional and social manipulation. 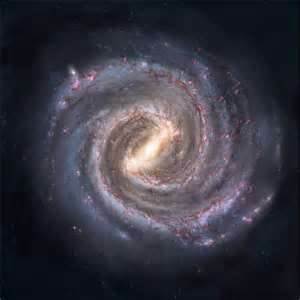 However, despite those more obvious examples, cosmology is an area where proper knowledge has not yet enabled individuals to get out from under never ending clouds of speculative fear and doubt. This includes the emotional manipulation and financial exploitation that cosmological ignorance can also be used to breed. The million dollar industry created by selling “end of the world” doom in 2012 was a good example of this. In accordance with the idea that it is impossible for an individual to understand something their power and income depend on them not understanding, financial benefactors of mongering aren’t going to be much help in changing things. Moreover, nearly everything going on in the world today is to maintain the lifestyle of those benefactors, whether we count them as those who initially dreamed up (y)our phony reality box, or simply those who profit from helping to prop it up. People too often forget that in a pyramid scheme, there is no top if there is no base to support it. The architects of these schemes cannot, and do not, ever actually build anything—that’s what the workers, minions, and gate-keepers are for. A blueprint doesn’t build the building, and a war plan doesn’t actually fight in the war. PROMOTING INACCURATE MODELS OF COSMOLOGY: HOW FAR WILL THEY GO? In the corporate (and military) world when doing background checks and assembling perspective employee profiles, there’s an old saying: Past behavior is an indicator of future performance. There is a great deal of truth in this (although people can and do change), and I bring this up because perhaps the best way to determine how far they will go to keep the general populace ignorant of accurate cosmology models, is to become familiar with how far they have already went. The question begs to be asked then: how far have they already gone? I’ll give you the short and incomplete answer first: Knowledge of the OTHER PLANETS in (y)our own solar system has purposefully been withheld from us. That’s an astonishing claim (at the very least) I know, and I will of course provide sources for that information shortly. Before I do however, just in case that little voice in the back of your mind is still wondering why they would hide something like this, let me take this opportunity to remind you that you already know the answer, and cognitive dissonance only seeks to rob you of that knowing. This is the same pattern I have pointed out again and again—nothing has changed when it comes to ignorance being a *necessary* counterpart to fear-based emotional manipulation. And, remember that their back-up plans have back-up plans when it comes to keeping people inside of the sanctioned reality box through deflection and diversion. This is no different than ensuring jaded Christians would have a PRE-DEFINED and RE-BRANDED alternative ready to receive them that was never intended to self-empower them anymore than the first one. Proper knowledge is power (i.e., self-empowering), and there are many who prefer you to carry on without it. In regards to cosmology and the other “classified” planets in our own solar system, where this particular example and pattern is concerned, should anyone like backyard amateur astronomers accidentally discover one of those other planets, a pre-defined (read: bogus) alternative has already been *pre-seeded* into the individual and collective mind, as the means to pre-explain for them, what it is they have actually seen—this is diversion and deflection via pre-definition and re-branding—aka, the backup plan. Never forget that pre-seeded and pre-defined determinations are entirely based on PRE-EMPTYING new discoveries that would lead to conclusions from which the slave class could evolve beyond the chains of their ignorance. Having said that, what do you suppose the pre-seeded and deflection alternative is, for someone who may inadvertently capture one of those other planets in our solar system from a backyard telescope? Most of you know exactly what I’m referring to here—go ahead and say it out loud to yourself. That’s right—it’s either Nibiru or the re-branded version known as Planet X. See how that works? The same type of redirection and rebranding was applied to “global warming”. When the heavily marketed (and misleading) cause of this was proven false, it morphed into climate change, and when the misguided reasoning behind “climate change” lost its sparkle, it was rebranded again as “geo-engineering”. It is the same pattern over and over again, regardless of the time or genre it is applied to. Also notice that in every case, the manipulation is designed to con people into arriving at a destination or conclusion that was *pre-determined* by others. This is necessary in order for the next phase of manipulation to be successful to move you further along in a direction that doesn’t serve you, yet to do so in a way where you believe you have chosen if for yourself. Stated another way, to meet the agenda or intended outcome of our global handlers, they know exactly what conclusions you must reach to help them manifest that agenda. From here, everything they do is based on getting you to reach those pre-determined conclusions to willingly manifest those outcomes. The truth of this was clearly exampled in the recent film The Hunger Games, not just in using fire balls to redirect the main character away from the outer wall of the simulated reality she was inside of, but also to manipulate and steer her course back towards those she was intended to fight—not her real adversaries—but rather a pre-determined group of people that were chosen for her. Another significant tactic was also beautifully portrayed in the film in terms of how even when an individual can still beat the handlers at their own game, playing by their own rules, the response is to change the rules—this is what re-branding does. Not teaching the 7 billion people on this planet how many planets actually occupy their own solar system, provided the framework necessary to manipulate those same people into meeting and arriving at pre-determined conclusions that were not their own. Additionally, like so many other manipulation techniques in this regard (like false-flag shootings in an attempt to ban guns), there is a boogeyman involved. 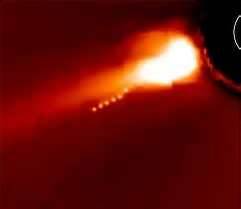 Certainly the mythical planet Nibiru comes complete with hostile reptilian overlords, and if that’s too far-out for some, Planet X is another derivation of the same story with its own dubious and menacing overtones, sans the Annunaki meme. I recognize that relentless perception management, collective mind meme-seeding, repetitive meme-marketing, and all-out propaganda have been so effective, despite how utterly obvious the manipulation patterns are, that some of what I just wrote will no doubt offend staunch Sitchin supporters. If you’re one of them, you can learn more about this by taking a serious and in-depth look at the following site: www.sitchiniswrong.com. If you feel pressed for time you may find this video a helpful tool in getting started. Many years ago I had a conversation with an interesting woman who mentioned a particular form of old astrology that was unusual. 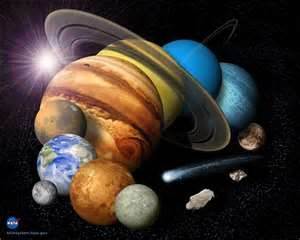 The design it was based on clearly indicated our solar system had several more planets than we are currently aware of, and those familiar with Edgar Cayce readings will recall references he made to planets like Vulcan and Septimus. For years I searched to find more on this, but came up empty every time. I was left with no choice but to quietly wait for some kind of confirmation that our solar system either included several more planets at some point in the past, or the models we are currently being taught are inaccurate. On May 23rd, 2012 I found confirmation of the latter via an episode of the Kevin Smith Show. A great deal of information, supporting details and facts were presented in that show, and they will not be fully addressed here out of respect for the man who brought them to us, and the listener-supported financial backing he requires to keep doing so. The entirety of Kevin Smith’s broadcast can be retrieved from his show archives (k-pods) for paid subscribers, and the small fee to become a member is worth it for access to this one show alone. KSS broadcasts are also live video streams wherein Kevin will often post images of the papers, reports, documents, pictures, and satellite images he is referring to—a feature few other shows offer. For people who prefer to see it rather than just believe it, this feature is invaluable. From May 6th to May 10th the American Astronomical Society’s Division of Dynamic Astronomy held a conference at the Timberline Lodge in Mt. Hood Oregon. One of the speakers at this conference was Dr. Rodney Gomes (pronounced Gomez), who presented to the group on May 8th. However, the day after his presentation was made his name was removed from the website as having been an invited speaker. If it wasn’t for a National Geographic News writer reporting on what Dr. Gomes presented at this conference, it would be difficult to prove Dr. Gomes was even there, let alone as an invited speaker. I highly recommend viewing those provided links and retaining hard copies of the information for future reference. [Similar information can be found here as well]. During this same live broadcast of KSS the host posted an image of a newspaper clipping from the December 30th, 1983 edition of the Washington Post regarding a mystery heavenly body being discovered. This information was provided in a press release by a NASA scientist involved with the IRES satellite. This heavenly body was said to be possibly as large as Jupiter and perhaps even close enough to Earth that it could be part of our own solar system. It was reported to have been found in the direction of the Orion constellation by an orbiting telescope aboard the US Infrared Astronomical Telescope. The title of this subsection and the information it contains are glaring examples of why our civilization is not evolving past repetitious self-destructive tendencies: secrecy. That any developing culture (on earth or otherwise) would allow a small handful of people to censor and hide the true nature of their own solar system model, is nearly as absurd as letting a small group of people (Vatican) hide historical texts regarding their true history in off-limit underground vaults and catacombs. I don’t know what manner of self-proclaimed “right” these people believe they have to withhold this knowledge from the billions of other people on this planet, but if we really intend to survive this brand of arrogant secrecy and the outcome it manifests—-unlike the previous six versions of our predecessors—we would do well to take those self-proclaimed rights away from them. Remembering that the KSS broadcast was vastly more thorough than what I am providing here, I am not going to cover the details Kevin Smith discussed regarding the Astronomical Union’s involvement in data suppression, with the exception of the following point: they publicly admitted in one of their Annual Reports that they chose to suppress knowledge of other planets in our solar system. This is something Kevin has also discussed in other shows, and again you can find those in his archives as a member. 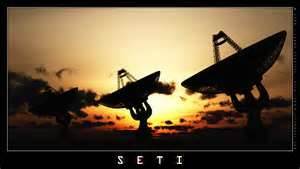 What I do personally find more important to point out before moving on however, are Hollywood-generated misconceptions about SETI’s true mission, and therefore involvement in this type of suppression and knowledge restriction. Thanks to Hollywood movies and cartoons, SETI generally conjures images of scientists and interns (working on shoe-string budgets) driving for miles through a barren desert to reach a field of enormous satellite dishes where they spend their days sifting through endless cosmic white noise in the hopes of one day finding some type of cosmic Morse code that would indicate the possibility of intelligent life elsewhere. This repetitive, re-seeded or reinforced representation couldn’t be farther from the truth. Earlier I provided a link to the webpage of the conference that Dr. Rodney Gomes presented at. Among the roster of speakers, clearly listed as a representative of the SETI Institute is Matija Cuk, whose specialty is also listed: Dynamics of Multiple Moon Systems. If I’m not mistaken, the study of literal cosmological design is way past sifting through cosmic white noise. Where this particular episode of KKS was also exceptionally important, was in revealing a protocol that was developed to determine whether or not the public is made aware of new astronomical discoveries. This protocol comes into effect when signs of intelligent extraterrestrial life are part of the discovery, whether those signs are ruins, cities, craft, inhabited planets or signals. Additionally, as Kevin Smith pointed out, that protocol was written by SETI. Moreover, while select world leaders and even the Pope(!) are told about these findings before the protocol is observed and put into effect, this isn’t meant to imply that you and I are the last to know. Rather, to be clear, if a discovery shows any signs of intelligent life, we are NEVER told at all—it gets buried under a narcissistic “classified” stamp. To be sure the implications of this type of secrecy are made plain enough, consider that given what these people know about the moon, if you couldn’t literally walk outside and see it in your sky every night with your own eyes, you wouldn’t be told you had a moon, either—its existence would have been kept from you in accordance with the protocol. Have you ever looked at satellite images of the earth at night? The most striking thing is often the endless sea of bright lights—the lights of our roads, homes and cities—the lights of our civilization. The shadowy landscape is littered with millions of unnatural lights that should imply there are people living here—people who have a technology that allows them to artificially light their way at night as a means to continue activity long after the sun has set. Unless dealing with a life from that is self-illuminating at night to the degree those illuminations can be observed from orbiting satellites, one should rightly assume those lights are the mark of an intelligent civilization, whether the satellite images are of earth or another planet—or even a moon. The Puzzle of the Moon’s Age: Incredibly, over 99 percent of the moon rocks brought back turned out upon analysis to be older than 90 percent of the oldest rocks that can be found on Earth… Other rocks turned out to be even older: 4.3, 4.5, 4.6 and one even alleged to be 5.3 billion years old!…and the area of the moon the rocks came from was thought by scientists to be one of the youngest areas of the moon! Based on such evidence, some scientists have concluded that the moon was formed among the stars long before our sun was born. 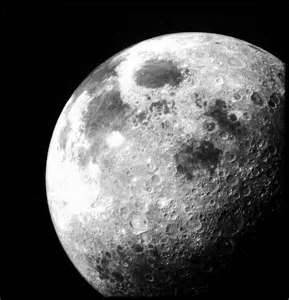 The Puzzle of the Mystifying Maria on the Moon: The dark areas of the moon are known as maria… and are, strangely, located almost entirely on one side of the moon. Astronauts found it extremely difficult to drill into the surface of these dark plain-like areas. Soil samples were loaded with rare metals and elements like titanium, zirconium, yttrium, and beryllium. This dumbfounded scientists because these elements require tremendous heat, approximately 4, 500 degrees Fahrenheit, to melt and fuse with surrounding rock, as it had. Discovering that select members of the human race have moved on to studying the dynamics of multiple moon systems before they can fully admit (even to themselves, let alone the public) that they don’t actually understand the dynamics of our own moon, is nearly as disturbing as depicting our moon as an alien death star from which evil aliens control our minds and keep us in the dark. This is doubly true when the only people we find hiding the true nature of reality from us, are exactly that—people. If Star Wars or Star Trek movies were literal representations of life beyond earth, rather than infantile outward projections of the way we still treat each other and our own planet, we certainly would have seen it by now: planets in our system would be blowing up left and right, entire armadas would be circling the earth blowing up our capitols, and storm troopers would be everywhere. Shadowy treatment of advanced finds (scientific, cosmological, archeological, or otherwise) and shallow treatment are common bedfellows when there is intent to misrepresent or downplay the significance of those new finds and the conclusions they would have us draw—the course of evolutionary thought and behavior they would naturally steer us toward. Remembering that our phony reality box has been masterminded by people who clearly understand that allowing a well-informed and self-empowered population to evolve properly is completely anti-thetical to the positions of power they currently hold, the tandem use of shadowy and shallow treatment is easier to understand. Loyal “experts” are not only trotted out in front of the cameras, heavily marketed, repetitiously quoted, and put on the cover of magazines in an effort to constantly maintain the boundaries of our faux reality box, but also, through re-emphasizing those boundaries, create the benchmark whereby finds and discoveries that would take us past those boundaries of control, can be easily dismissed. This is the essence of gate-keeping, built on social pressure to conform for a reward—those who conform are rewarded with things like lucrative careers and positions of power (i.e., good grades), and those who don’t are mocked, ostracized, and removed from the pages of history—at least publicly and on paper. Often however, while our global handlers are teaching the public to mock and dismiss any and all new finds or discoveries of significance that may leak out, they are simultaneously spending billions of dollars to not only sequester the information, but to further their own knowledge and understanding of it in private classified operations, experiments and laboratories. Where the dynamics of our own moon are concerned, in many ways the same rules have been applied. While James Horak continues to explain the engineered relationship between our planet and moon via advanced technologies working with cosmological and creational design principles, and makes reference to the engines involved, the “Horak Moon Shaft” isn’t referring to James Horak—it’s referring to one of his ancestors—Antonin Horak. I suspect the shallow treatment often applied to James Horak’s insights would change dramatically if people knew that Antonin Horak found one of the engines James talks about here on earth, long before most researchers on the matter were even born. Even a cursory web search for the term Horak Moon Shaft will yield the related story and background of Antonin Horak, including when and where he found the Moon Shaft, what it looked like, how large it was, and how he came to find it written in his own words via journal entries made at the time of the discovery. The same search term will also pull up the 2007 release of an album called Horak’s Moon Shaft, by the Mooseheart Faith Stellar Groove Band. More importantly however, as the reality and validity of the discovery concerns us today, are its connections to many, many other things happening to and around our planet; connections that can’t be made without a more inclusive frame of reference to draw from. A good example of this can be found in moon shaft/engine ties to recent events at Lake Vostok and an unusual archeological find in Romania—both events and discoveries beings shrouded in a great deal of secrecy (and therefore likely disinformation) as well. Where Lake Vostok is concerned, during one of his many appearances on the Kevin Smith Show, James Horak explained he believes the anomaly under lake Vostok is not only another engine/shaft (there are many of them all over our planet), but also that the Russians may have moved the one Antonin Horak found, drilled a hole in the ice at Lake Vostok, and placed it next to the other one just to see what would happen. Considering the importance of these engines and their precise placement in terms of keeping our moon in an orbit that provides our planet with the kind of stability we need to live here, tampering with the engines certainly isn’t one of the smarter things human beings have done. At the same time this can’t be all that surprising considering nuclear bombs were once detonated in the upper atmosphere and we also bombed our moon—on both occasions for similar reasons: just to see what would happen. The first link I provided in the previous paragraph deserves serious consideration as it pertains to experimentation done as the pre-cursor to our modern HAARP technology and includes background information on Project Argus (1958), Project Starfish (1962), and the SPS: Solar Power Satellite Project (1968). 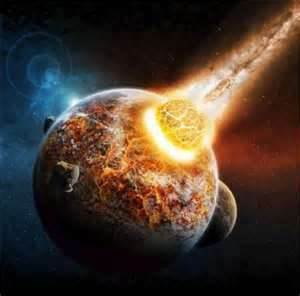 Of note are the dates, in terms of how long ago this experimentation began, and also how far people will push the envelope in a destructive capacity—putting all life on this planet at risk—just to create a better weapon that will also put all life on the planet at risk when in use. The recent (and historical) shallow treatment of Dr. Norman Bergun’s work would also likely come to a much needed end if personal research and self-study of Dr. Bergrun and his material was conducted outside of gate-keeping institutions and their forum counterparts. 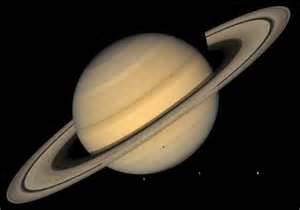 That such a suppressive system exists is mirrored by the fact that while his book The Ringmakers of Saturn was released in 1986, only now, almost 30 years later, is the importance of the material really working its way into the minds and hands of a much wider, public audience. Also, for those interested, the book does not cost thousands of dollars to buy—it can be purchased directly from his website, which is where I purchased my own copy. The book is somewhat pricey as books go in general ($230), but keep in mind this is a hard-back edition with over 39 color images of perhaps the greatest discovery of our time. Readers will also note that his life work and experiences are chronicled in far more depth than what is currently available at his website. When a thing echoes convention and, at least, follows traces of already acquired perceptions little risk is taken to point out discovery. But when no ground is laid, when the slightest ramification seems beyond all matter of known manifestation…purpose, mechanism, ultimate extents are all outside the wildest of imaginations…then the very dynamics of true observation require the grandest virtues. And demand some of the deepest felt of sacrifice, sadly. From the perspective of an outsider, James Horak has long known what the EMV’s are, where they are, and what their functions are in cosmological and creational design. However, in consideration of this perspective, certainly we can understand that until someone from within our own culture became aware enough to notice and observe the EMVs, not only would we lack the necessary frame of reference for an outsider to teach us about them, but further, to do so would also pre-empty the significance of one of us making the discovery on our own. What further impressed James about Dr. Begrun, beyond the fact he was the first human being within our culture to observe, study, and publicly share his findings on EMVs with others, was that Dr. Bergrun was also a very thorough UFO sighting field researcher. He was very dedicated and hands-on, meeting with people personally to collect first-hand accounts of sightings. Part of Dr. Bergrun’s passion in this regard was related to a UFO sighting of his own off the coast of San Bernardino in which he observed a cylindrical craft having similar attributes (like effluvium) to the craft (Electro Magnetic Vehicles) he was observing in the rings of Saturn. His in depth field research of UFO witnesses was an attempt to better understand if there was any connection between the craft people were seeing here, and the craft working elsewhere in our solar system. (You can find a recording of the presentation he made to the International UFO congress many years ago here). James Horak was so impressed with Dr. Bergrun that he contacted him in the late 1990’s to begin a dialogue regarding the extraordinary discoveries. They were friends for a couple of years until Dr. Bergrun asked James how he came to know so much about the EMVs. Understanding that a scientist already going against the grain couldn’t afford to be seriously associated with an “outsider,” James answered the question honestly and fully expected (and respected) the end of their close relationship because of it. While the discovery was far too new, revelatory and challenging to currently held scientific and cosmological models to withstand such an unconventional relationship on top of it, James remained in constant contact with a pre-existing associate of Dr. Bergrun, as well as another associate James had introduced them to. This brief background to their relationship history has been provided to add much needed depth to the shallow treatment of Dr. Bergrun’s work, and how failure to explore it more fully has prevented other revelations from surfacing—incredibly important revelations. 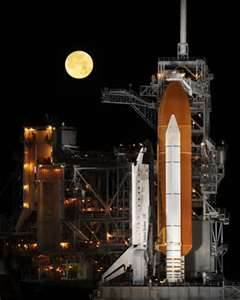 WHY WERE FUTURE NASA MISSIONS & OUR SECRET BASES ON THE MOON & MARS ABAONDONED? Around 2003, Dr. Bergrun had come into possession of images showing a very aggressive form of metal-eating fungus being present on the legs and tripods of the rover on the moon. Time lapse images showed how fast the fungus worked, and copies of those images were passed to James through the latter of the previously mentioned associates. [Note: It was hoped that Dr. Bergrun would release the photos in a second book. This was before an attempt on his life was made and a robbery which may also be related]. With that in mind, the question then becomes: where did the mold come from, and why wasn’t it there before? Before we can answer that, we need to understand the “before” part better. According to James Horak, we had bases on the moon before Kennedy was assassinated (in 1963), and a base on Mars not long after—both being established between 1959 & 1961—also before the first “official” moon landing in 1969. As incredibly far-fetched as that sounds having consistently been taught to believe we didn’t have the technology to go to the moon until 1961, this particular anomaly (among others which I will list in a moment) is solved through applying James’ explanations regarding the difference between an EBE and an ET, to the meeting(s) President Eisenhower had with each one separate occasions in 1954. If we take what James says on face value (and to date I have found no reason not to), a multitude of inconsistencies in our manipulated and re-written history are immediately resolved. An EBE (also known as grays) is a semi-biological machine that was created by an advanced race a very long time ago (eons ago where our view of time is concerned), for the purpose of deep space exploration on behalf of the culture that created them. That culture eventually moved to a new form of existence before reclaiming all of the EBE probes they sent out, leaving the probes to continue an exploration directive provided by a culture no longer available to cancel the directive and reclaim them. As the EBE probes continued to wander in search of life they eventually found, they became involved with those cultures in ways that were ultimately problematic—the same way they are involved in ours. For this reason, people in the extended community destroy them when they find them to prevent further disruption to developing civilizations. Based on the way those problematic interactions have developed here, I again find myself agreeing with James’ assertions that although the EBE’s can cause problems, they are not hostile—they don’t mean well, and they don’t mean harm—but they can be employed or repurposed by those who do mean harm—like corrupt shadow governments trying to control and oppress the rest of their civilization. When the EBE’s came here and the same risks began to surface, members from the extended community (ET) met with our president and offered to destroy them for us. Unfortunately, by this time, our government was already infected with elitist and narcissistic power mongers, but it may not have been until this meeting took place that Eisenhower was given a startling daylight glimpse of it. Recall that Eisenhower was the first president to publicly warn the people about a creeping military industrial complex. Perhaps from this warming we can infer that when members of the extended community presented themselves and offered to destroy the EBE’s, when the offer was refused because they wouldn’t give us advanced technology (and we therefore chose to work with EBE’s instead), that Eisenhower wasn’t the one with the power to actually make the choice. After all, if the President of this nation (or any other) really believed they had the kind of power they think they do, why warn the citizens of another, more powerful and sinister group working in secret behind the scenes? Additionally, an even more vivid and telling speech was made to the public by the President that followed Eisenhower: John F. Kennedy. Choosing to use EBE’s for technological exploitation, whether genetic, scientific, or otherwise (which always leads to weaponization and therefore oppression), rather than have them destroyed and begin working towards open relations with the extended community, clearly indicates a darker mindset already working at the highest levels. We would do well to remember that this meeting took place nearly a decade after Hitler was defeated, and we know many of his equally sick and perverted science experiments have continued here, in this country, because we protected, funded, and exploited the same scientists he was using. Furthermore, let’s not forget that future generations of families who funded Hitler, later became the Presidents of our own country—both the father and the son. One of them was also the head of the CIA before becoming President. Keeping Knowledge of the EBE Presence a Secret from the Public: How Far Did They Go? That particular question is rhetorical almost to the point of trickery, because in fact we aren’t just talking about how far they went to hide the EBE presence while they exploited it, but also about how far they were able to go via technological advancements gleaned through that exploitation in secret, simply because of how far they went to keep the EBE presence and exploitation a secret in the first place! From here, understanding the connection between many, many other things is finally possible—this is especially true in conjunction with further insights provided by James Horak. For example, James has repeatedly explained that EBE’s cannot teach anyone how to build or create the technology they use (including their craft), because they did not create it themselves—their knowledge extends no further than instructional use and maintenance. Learning more about their technology requires back-engineering, but even that has severe limitations given our current stage of development and requires a great deal of time and money to accomplish in the meantime. We know enough about the moon to imply we have actually been there, but why then were the rocket-based moon landings presented to the public, nothing more than a Hollywood production? If we really went, why not show the real footage? To hide the fact that we actually got to the moon in EBE craft. While we have audio recordings of astronaut observations made from the moon (including admissions they weren’t alone when they got there), not only were we shown fake moon-landing footage, but the astronauts themselves either can’t seem to remember how they got there, or simply won’t discuss it—why? To hide the fact they went to the moon in an EBE craft. In fact, during the “debriefing and medical check-up” phase of the mission upon their return, their own memories regarding the true method of travel may have been removed, tampered with or replaced—the same thing happens to abduction victims in which EBE’s are also involved. This takes us back to the title and beginning of this section, and helps us better understand the connection between the sudden appearance of the aggressive fungus, and the subsequent abandonment not only of the secret bases on the moon and mars, but also the abandonment of previously planned attempts by NASA at continued space exploration. What changed? Dates provided by James Horak indicate that while we had established secret bases on the moon and mars by 1960 (made possible via the utilization of EBE craft to transfer human and material resources), as early as 1979 we were being systematically driven out of those bases because we applied the same “weaponize, blow up, smash, destroy and abuse everything” mentality currently ruining our own planet, to bases we had established elsewhere. That kind of inhumane destruction is not tolerated within the extended community (regardless of what Hollywood would have you believe), and to emphasize the point, the aggressive fungus was released by those wanting to make the point—a fungus that only affects metals produced here on earth. This fungus was a peaceful attempt at removing an infantile and war-mongering race from an extended community equation in which abusive and oppressive attempts to weaponize and destroy everything cannot be tolerated. The fungus doesn’t harm people or living things—only the metals we produce, without which, our weapons and bases cannot be made nor can they endure. Along these lines James has also repeatedly stated that while our scientists may finally have the knowledge to understand and create advanced drive technology necessary for safe and effective space exploration and travel, that knowledge is worthless without the formula for the metal required to use it—and we don’t have the formula. This is why the fungus only eats metals originally produced here on earth, and doesn’t harm the structural integrity of bases or craft made by others within the extended community. The fungus wouldn’t harm an EBE craft either, but without bases to land on, an EBE craft won’t be of much help. Moreover, this is the primary reason why our double-dealing, pathological and eugenicist elite can’t go hide on other planets while they do the rest of us in—they overstayed their welcome and that ship has sailed. The extended community did us all a favor when they released the fungus, because if they hadn’t, you and I (and most other living things on the planet) wouldn’t be around to thank them for it. When our most pathetic examples of “royalty” publicly admit they would gladly reincarnate as a virus to wipe the rest of us out, in conjunction with corporate billionaires like Ted Turner also publicly admitting how much they would appreciate a 90% reduction in our population (excluding their own lineage of course), there can be little doubt that if these people really had the means to do it while protecting themselves from the carnage of their incredibly destructive and supremacist ideologies, they absolutely would have done it already. This is only one of many ways the extended community has worked to buy us time to get our act together. It only took the extended community roughly 20 years (from 1959 to 1979) to excommunicate our pathological global handlers from their own community, yet we still put up with it ourselves. As eluded to earlier, it wasn’t just our bases on the moon and mars that were abandoned (after the emergence of the fungus); it was also a series of pre-planned space exploration missions by NASA that were abandoned. The fungus began to emerge around 1979, and it likely took several years before the full ramifications of it were understood and adequately responded to. Before that understanding took place, NASA released a set of playing cards (in 1985) that were part of the astronaut retirement fund, and the images on the cards depicted future planned mission that were still on the books at the time the cards were printed. One of the cards showed an image of the face on mars (before distorted images began circulating), and another showed a rendering of astronauts in pressure suits standing on Phobos with the title: 2007 Manned Mission to Mars Phobos Base. These cards are very real, and some time ago Kevin Smith even gave a set away to one of his listeners. The first thing to note about the reference to a planned mission to Phobos in 2007, is the time difference between when the cards were put out (1985) and when the future mission was supposed to take place in 2007—a 22 year difference. This indicates that the Phobos Base referred to as being part of that mission (Phobos being a moon of mars), had not been built yet, but it was clearly anticipated that it would be. It’s logical to conclude that it makes no sense at all to plan a mission around the anticipation of a base being built on a moon orbiting your nearest planetary partner, without first establishing bases on your own moon (your true closest neighbor), as well as the next closest neighbor (in this case mars), around which another moon—the focus of a new base—actually orbits. This should more than indicate the other bases (on both our moon and mars) were already established at the time the Phobos Base was being planned. In either case however, just a few years after the fungus was released, everything stopped. 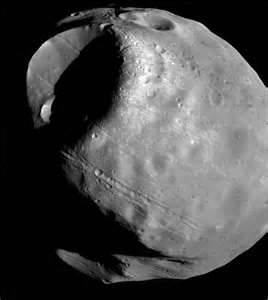 Even more interesting, the same way NASA knew our own moon was artificially created but never bothered to ensure that knowledge made it into our standard education curriculum, they also know that Phobos is artificial as well. Additionally, the same way NASA and its membership had no intention of telling the public they know these moons were artificially created, they likewise have no intention of telling you why they were created, let alone who actually did it, assuming they have those answers, and I have yet to be persuaded that they actually do. As open-minded as I have always believed myself to be, the truth of the matter is that it took a long time for me get over who James Horak claims to be, and consequently how he knows what he does, but once I was able to overcome that hang-up and simply listen to what he had to say long enough to consider it, I inevitably came to understand that he has been saying many of the exact same things I was already writing about, but simply using different words to express. As an example, those familiar with my first book (WAWR 101) will recall that because I was (and still am) convinced we are on the verge of making the exact same mistakes that caused the previous cataclysmic episodes of our ancestors, I included the idea that perhaps we should try to leave detailed records behind for those who may come after us—records that would tell them what kind of mistakes we made in the hopes they wouldn’t repeat them. We may naturally assume our ancestors did the same thing for us, but every time an archeological discovery is made in which those records may be found to exist, as we are already living in a deeply corrupt paradigm, those records are either instantly confiscated and sequestered or destroyed by people who embody the exact same secretive and narcissist tendencies that destroyed six previous civilizations. I bring this up however, because of what Phobos was built for—and why it is so respectfully protected by members of the extended community: it is a hall of records containing our entire history going back to our original heritage and ancestors who came to this system in our moon. It may also be the last unadulterated and complete set of records left in existence. In more relative terms, the same way we have protected heritage sites on our own planet, this moon is a protected heritage site for us. At no point will TPTB be allowed to access it, let alone build a base on it, because they have already proven how far they will go to hide our true history from us to maintain their power. This off-planet hall of records will remain cared for and protected for us until we either self-destruct, or grow up enough to peaceably join the extended community that protects it for us in anticipation of that time. This is but one more instance of the love and dedication others have for our own history and culture, even if we don’t yet have it ourselves. How far others will go to preserve and protect that knowledge from ill-gotten members of our kind was perhaps best reflected in the sudden and mysterious end of a probe we once sent to Phobos. Footage of the incident was made available to us via a female Russian cosmonaut who defected to the United States to publicly release a video taken by Russian satellites capturing event. Just before our probe stopped transmitting, a large shadow was filmed and then a sudden flash of light literally absorbed and destroyed it. Before winding this section up with an interview in which we discussed how knowing our true history in conjunction with proper cosmology models addresses endless anomalies (and answers questions we heretofore didn’t have the pre-conditions to even ask), there is another relevant insight I would like to point out. 1. The prevention of another (and perhaps final) cataclysmic destruction episode. The fundamental principle that effective prevention requires proper knowledge of what it takes creational design systems to create, regenerate and uphold life, and the courage to act on that knowledge. Sun Disease, Carbon-based Global Warming, or Ignorance: Which One Are We Really Suffering From? In WAWR 101 I included a great deal of information on HAARP and weather modification technologies, including patents, companies for hire, and the background on pre-cursor projects via a paper written by Dr. Rosalie Bertell (previously linked to). I found her paper via Dr. Nick Begich, and one of the things that instantly struck me, was the admission that they knew those technologies put holes in the protective layers of our atmosphere. What was not elaborated on is exactly how those holes are created. Again, this is where I found insights from an outsider extremely helpful, as James explained (in the video below) that our atmosphere is full of tiny microbes that mitigate (screen and absorb) solar radiation—that’s their function. HAARP, chemtrails and weather modification are killing these microbes, which results in holes in our atmosphere. This especially caught my attention because in one of the first few chapters of WAWR 101 I included a snippet of a past life regression case in which the individual was reliving the last few moments of a previous destruction episode. Specifically cited as the cause were out-of-control scientists doing similar experiments in their atmosphere, and everything was cooking because of it. I have seen this happening here more often in the last few years, and so have you. This type of “flash-cooking” or “flash-death” of certain plant species is not simply due to aluminum particles being taken up by (and clogging) the root systems of the plants. These plants are dying off in a matter of days and often look like they were literally microwaved—as though they hadn’t been watered in years, even though the grass around them is still alive and green. Ash trees are especially sensitive to the extra solar radiation, and I recently had to cut mine down because of it. A few years back during a heat wave in Colorado, my ash tree flash-cooked on one side of the tree—the side facing south which gets the most sun. The dead leaves never fell off, and new buds never grew back on that one side of the tree; last summer killed the other half and I removed it. Around this same time I had another tree flash-die in two days—again, just like it had been microwaved. That same summer a boy my son played with came to our home wearing a hat, long pants, and a long-sleeved shirt—in 117 degrees. I later discovered he was having an adverse reaction to the extra solar radiation causing his facial hair (eyelashes and eyebrows) to fall out. The reason if affected him so severely has to do with mineral deficiency. Astronauts and military pilots exposed to greater levels of radiation have to use mineral replacement therapy to avoid the same problems as the young boy. If everyone on this planet had that knowledge—knowledge of what it really takes to produce and maintain a living, healthy atmosphere on a planet designed to host sentient life—how long do you think they would buy any of the following nonsense? Below is a repost of the Refined Cosmology video. Even if you are already familiar with it, I highly recommend listening to it again and taking everything included on this blog page into consideration to see if it helps you get more out of it a second time. The same manipulative patterns playing out over and over again on the world stage, regardless of which theater they apply to, when understood for what they are have the ability to show us something incredibly important—the truth. Hi Crystal. I was investigating the moonshaft account, pursuant to your last Off Planet show, and read the above article. It is nothing short of outstanding. I’m looking forward to reading all of your offerings. You and James make quite a prolific team. Keep up your great work…the message must be heard! Thanks Matt. 🙂 I really enjoyed your latest show with Randy Maugans of http://www.offplanetradio.com regarding Walter Russell’s work, and I will always be grateful to you for introducing me to Walter Russell’s work as well. Much love and blessings to you! Thank you for the compliment, Steve. 🙂 Kevin Smith is an excellent, no-nonsense show host, and James is a dear friend with a refreshing perspective that can help us free ourselves from the endless riptide of absurdity that threatens to drown our hopes of a future. I like a lot of James Horak’s stuff but he’s had a soft ride too many times on interviews. He’s elliptical (probably with good reasons – self protection, sensitivity etc) but there’s always a question screaming to be asked whenever he’s interviewed and the interviewers are too polite or too scared to ask. James is a very clever guy but that can go against him when being asked straight questions. I would love to give him a good friendly grilling instead of the blow off answer he often gives unconsciously or not. There is a forum section at his blog http://www.emvsinfo.blogspot.com that allows people to ask direct questions of James–please feel free to ask him anything you would like more detailed information on, or even peruse the section to see if someone has already asked the same question(s). The newest entries are at the bottom of the page. Hope that helps! Excellent work mrs.clarck. I’m a huge fan of james horaks work myself & like what your perspective adds to his seemingly infinate knowledge & my out-formation. I tried to goto his blog today to ask some questions today but it wasn’t there. can you help on this? I agree with Torz Crystal , this article is so beautifully executed , formulated, shaped and brilliantly informative .. I am sharing this as much as I possibly can. Thank you , I am also honored to know you and extremely grateful for your work . Thank you for your kind words, honesty, friendship, and willingness to tread new paths as well moonskinlight. 🙂 BIG HUG!! I am honoured to know you..Thank you for your contribution to REAL education. That was an excellent read ! Thankyou so much. This is very pertinent information for humans.